Learn about the changes in immigration law, policy, procedure, and practice over the past year. This updated brochure offers practical advice for host families on ways to support students as they learn to adapt to U.S. culture. 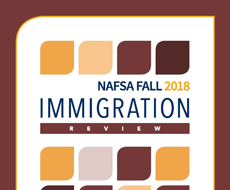 NAFSA now offers a broad selection of resources for professionals working with international students and scholars at the secondary level. 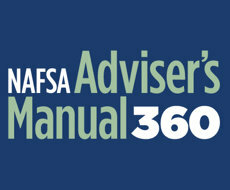 Explore the NAFSA Adviser’s Manual, NAFSA's premier online knowledge base for campus-based immigration advisers. May 30, 2018: 8:30 a.m.-9:30 a.m. Inform the Regulatory Practice Committee about emerging trends or government obstacles for studying abroad or incoming students and scholars. 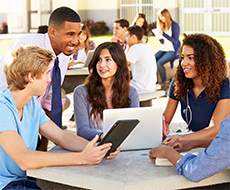 Explore professional learning opportunities related to international students and scholars.